Every year, the Mission District of San Francisco reserves Nov. 2 to celebrate life through the remembrance of the dead. 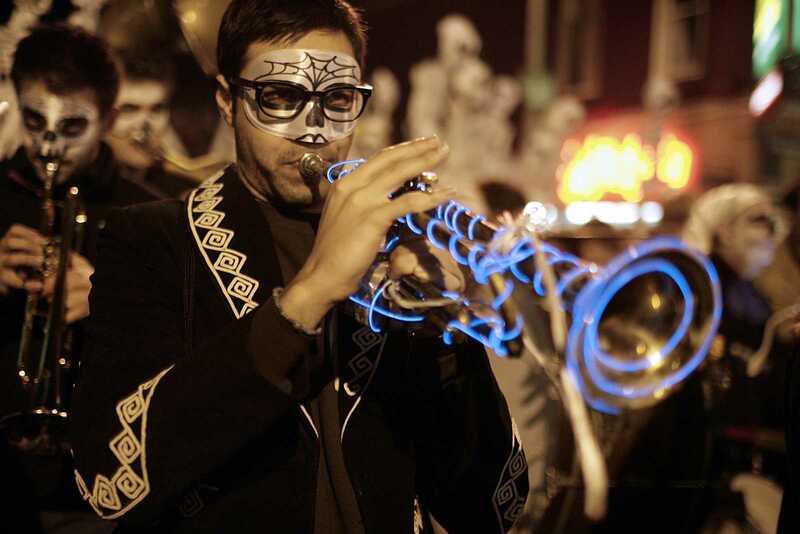 The Dia de Los Muertos parade, which marches down 24th street, has been celebrated in the city since the 1970s. This year the candlelight procession began at 22nd and Bryant Streets at 7 p.m. as people, with their faces painted to represent skulls, danced in the streets to the constant beat of drums. The parade encircled the streets of the Mission to end where it began. Altars were set up with candles and notes to celebrate the lives of deceased loved ones during the Festival of Altars in Garfield Park at 26th and Harrison Streets. The celebration there lasted from 6 to 11 p.m.